Luciding is now taking pre-orders for the LucidCatcher. (Lots more on this site about lucid dreaming). Like much of the tDCS research, studies report conflicting results using tACS to induce lucid dreaming. Note that Foc.us has had a 40 Hz tACS mode built into their V2 device and also has a lucid dreaming kit. It’s been out long enough now that I would think that widespread success with using it to induce lucid dreams would have been widely reported. The LucidCatcher does come in a form factor optimized for sleeping. I’m curious to know more about the unusual electrode setup. We typically see the dreams during REM (Rapid Eye Movement) phase. 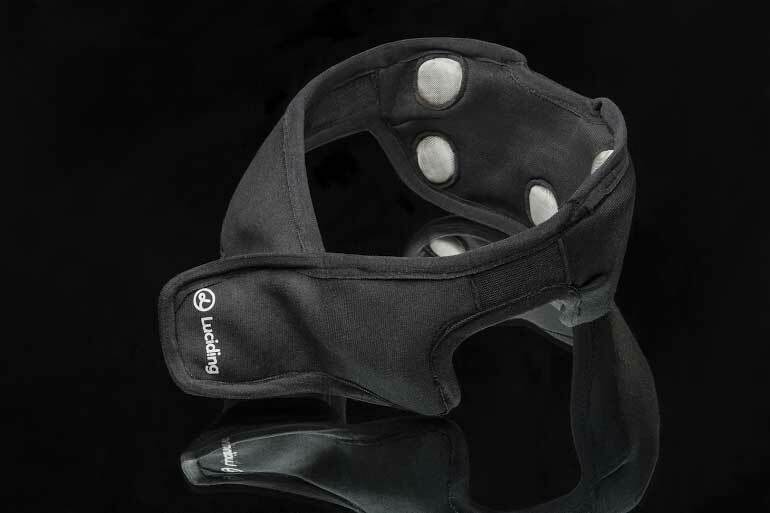 The device detects your REM and pushes mild electric impulses to the prefrontal cortex at a frequency of 40 Hz. It brings the logical brain back into service and makes you realize that you must be in a dream. You’ll recognize the dream by millions of different signs that contradicts the reality because your consciousness evokes.